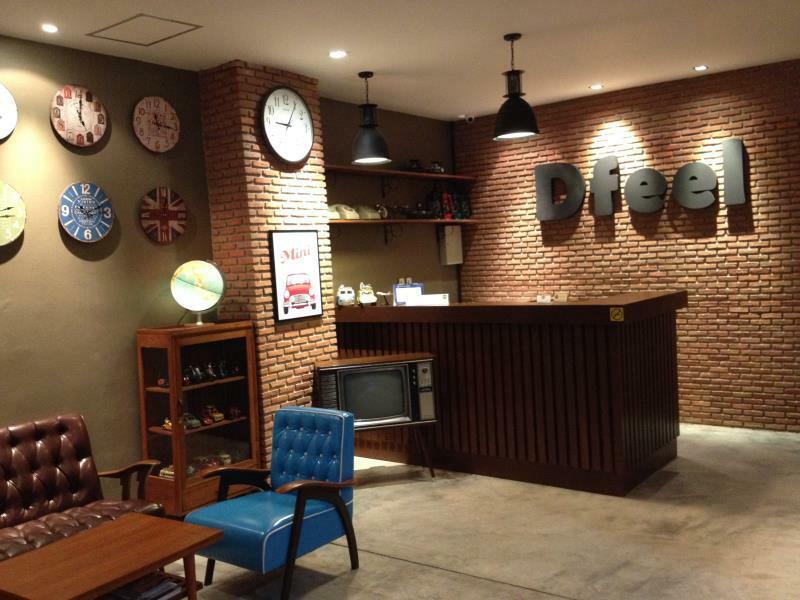 Имате въпрос към Dfeel Hostel? Удобно проектиран като за бизнесмени така и за почиващи туристи, Dfeel Hostel е идеално разположен в Патонг - една от най-посещаваните части на града. Разположен на 1.6 km от най-вълнуващите части на града, този 2-звезден хотел притежава отлично местоположение и осигурява лесен достъп до най-големите забележителности. С удобното си местоположение хотелът предлага лесен достъп до всички градски забележителности, които задължително трябва да се видят. Съоръженията и услугите предлагани в Dfeel Hostel гарантират Вашия приятен престой. Хотелът е оборудван със съоръжения като безплатен WiFi достъп във всички стаи, ежедневно почистване, таксиметрови услуги, съхраняване на багаж, Wi-Fi връзка в общите части. Насладете се на висококачествените удобства по време на престоя си тук. В някои стаи са на разположение телевизор с плосък екран, достъп до интернет (безжичен), безжичен интернет достъп (безплатен), стаи за непушачи, климатик, които ще помогнат на гостите да релаксират след дългия ден. Освен това в хотела можете да се възползвате от множество предложения за приятно прекарване на свободното време. Каквито и да са поводите за Вашето пътуване,Dfeel Hostel е най-доброто място за престой, което можете да изберете в Пукет. A cash security deposit is required upon check-in for charges or damages during the stay and will be refunded upon departure. Отседнахме 8 вечер/и в март 2016 г.
Пыль в углах, пыль на шкафах, кондее и телевизоре, мурави и пауки в ванной, ужасная слышимость! Брали делюкс со скидкой, и то не стоил этих денег. Both my husband and I stayed there for 3 nights and all we can say is that the hotel is worth every penny and it was so easy to access to halal food and a good location even though its quite far to access to the beach by feet. overall, er are very satisfied our staying there and would recommend to others and maybe if we go there in the future we will stay there again. I stayed here and decided it was best for me so I asked to extend my stay two more days. Staff was very accommodating, they made sure that I was able to stay in the same room and even helped me to book some ferry tickets. I would strongly recommend staying here. Actually another plus was I arrived 2 hours before check in time and staff was very accommodating and let me check in right after the other guests left and they cleaned the room.💖💖 So far it's been the best place I've stayed in while in Thailand. 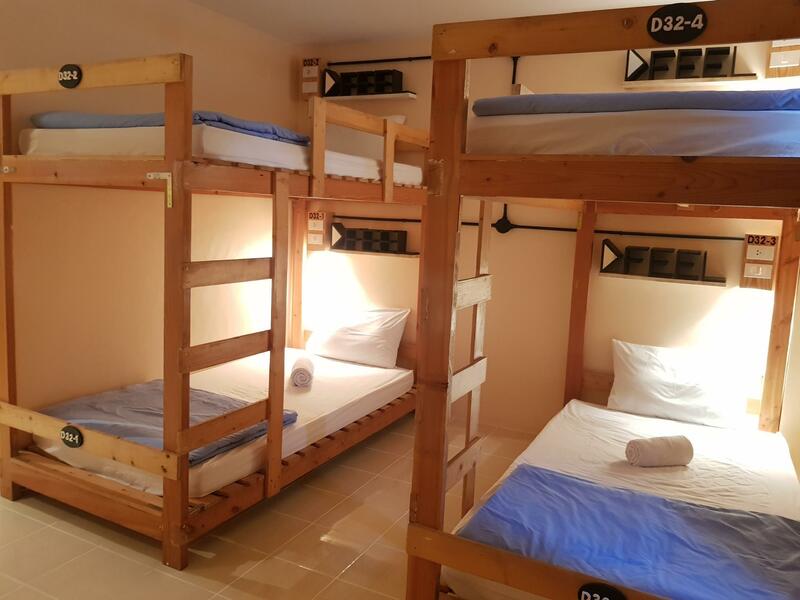 This hostel is located on the Muslim side of patong with the mosque in walking distance. The staff was amazing and kind, I accidentally booked a double twin bed when I meant to book a big bed and the staff put the beds together to make one big bed. The room is so quiet and had a mini fridge. It's about a 10 min walk to the beach and along the way there are plenty of restaurants and fruit stands. The hostel helped me book a round trip ferry ticket and they also have airport transfers for pretty cheap. If I come back to Phuket I would definitely book here again. Check in/out is easy and staff are friendly and speak English well. Air and WiFi work well. Room smelled a little like smoking. Location is a bit far from the main city area or the beach, but if you have a motorbike it is much easier to go anywhere. Staff are very friendly and the hotel decor is very cool. The room was clean and spacious, the tv had loads of good channels and the bed was comfy. One of the best places we’ve stayed. A bit far from the centre of Patong but a very good price. Perfect place for stay long or short. Clean, soft mattress, quiet, many restaurants and liquor shops around, beach is near, they also provides airport shuttle, pic and drop off. 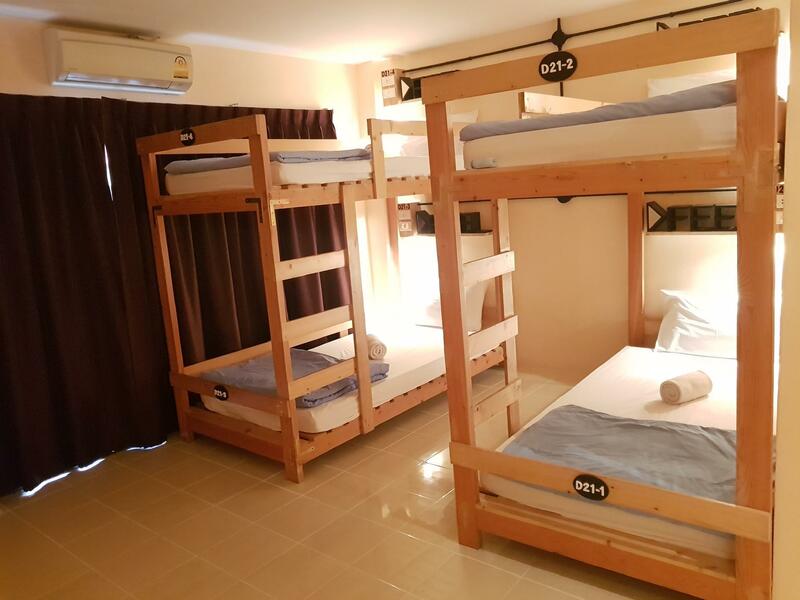 Cozy hostel with great value for money. Located twenty minutes walking from Patong Beach and Bangla Road, far from the hustle and bustle of this area, which is good if you're looking for a place where chilling out. Good facilities and services (transfers and boat trips at fair price), and some nice places for eating out nearby. You won't find more at this price in Patong Beach. stayed on 21-23rd January room is spacious with clean bathroom. provided with towels. also daily cleaning and room make up. did not expect that. for Muslims travellers, location is good as it is near mosque and plenty halal foods. the manager was very helpful, never missed a single reply to all my questions prior to arrival. Also managed to save us few hundreds baht of extra payment due to our missing island hopping trip. did his best to make sure we get into the trip. as suggestion to management, maybe can provide a light breakfast of coffee so other guests can interact and mingle around with each other. or maybe just some common activities like pool table or Foosball. the cons is just that you have to walk a bit further to go to the main area. if you dont mind walking, then this place fulfilled all other requirement. we had a good stay. the staffs are very nice and so helpful. we are also allowed to check in earlier. very clean room and hostel...kind staff . New and clean, price was fair. A bit far from the main walking street but that's OK because you don't have a lot of noise when you try to sleep. Overall I would recommend staying here. hostel bersih dan selesa, receptionist counter sgt peramah. Owner Mr Opat very quick respond, on the day we check out my car brokedown and he offer to call mechanic but the neighbor of the hostel already help us to go nearest mechanic shop. Thank you for the kindly and may god bless u. The staff is really nice and helpful. Hostel is near motorbike rent, minimarket 24 hours, mosque, laundry store. Toilet is small and don't have hot water but the shower is big and amazing. No breakfast, no drinking water, only coffee provided for free. But you can buy drinking water, cola, beer etc at the reception. There is TV room with movies at the lobby. This hostel is not suitable for big luggage since only stairs we take until 4th floor dormitory room. 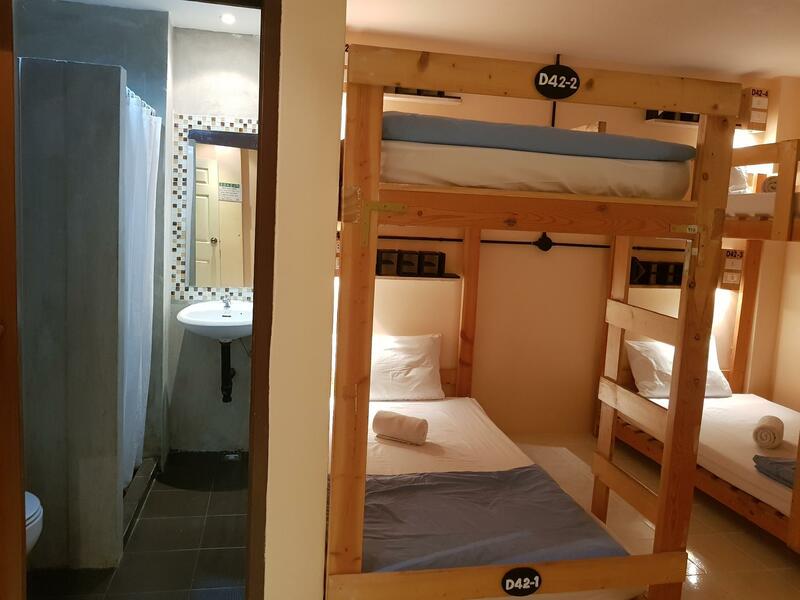 cleanliness, stout bunk bed and strong shower. Came here after staying at uncomfortable and pricey islets so I needed a good break without moving much. This hostel has everything I needed; comfy room with wi-fi, smiling staff and great value local restaurant right on left side. Recharged myself fully before setting a sail to another long trip. Thanks staff. Friendly and helpful staff who gave good advice. Guy at the reception can speak English and Chinese. Motorbike rental and cheap Thai food nearby. Convenient location near Patong Beach. Great value for money. 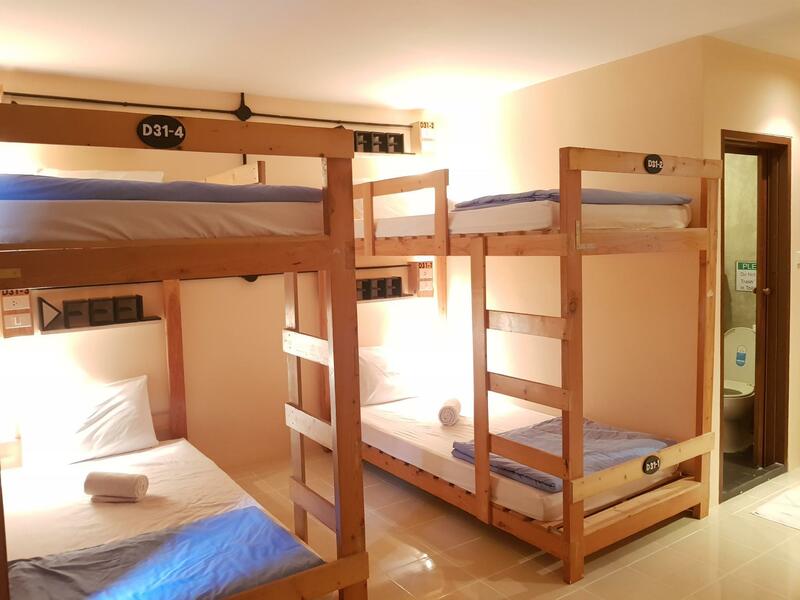 Cheap and cosy hostel for budget travellers. The rooms are nice, clean and tidy. Nonthing special. Im abit disappointed but I get what pay for ! The toilet is very smallas tiny small!